Hi friends! 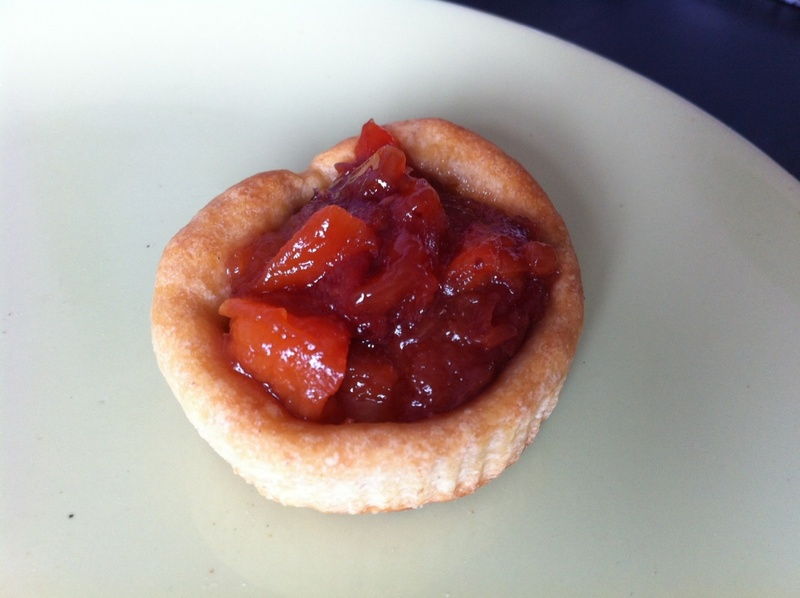 A little of pastry and a bit of jam makes a very fine Jam Tart. We can make them big or small and while delicious as they are, can make them tastier and very good with a small blob of whipped cream or a sprinkling of finely chopped nuts! Mix sugar, butter and egg yolk. Add flour, baking powder and milk and mix nicely. Prepare a smooth dough. Divide the dough in 3-4 small portions. Roll each portion to 1/8” thickness. With a medium size cookie cutter cut the pastry into smaller pieces and place the pieces in the tart moulds. Prick the dough with a fork. Bake at 160 C for 15 to 20 minutes in a preheated oven. Cool and fill with a teaspoon full of jam and serve. Can garnish with a dollop of whipped cream or sprinkle with finely chopped nuts.